The colossal crossover nobody ever expected continues! 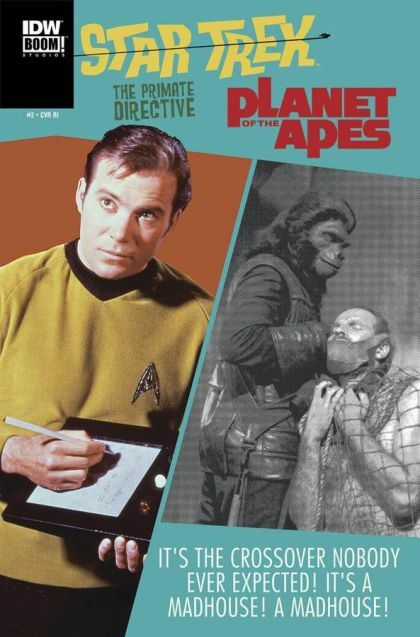 Captain Kirk and the Enterprise crew have landed on the Planet of the Apes-but how?! And how are the Klingons involved? Plus: Taylor meets up with Kirk and Spock, but will he greet them with open arms? Or flying bullets?